NI USRP-292x software-programmable radio transceivers are designed for wireless communications teaching and research. 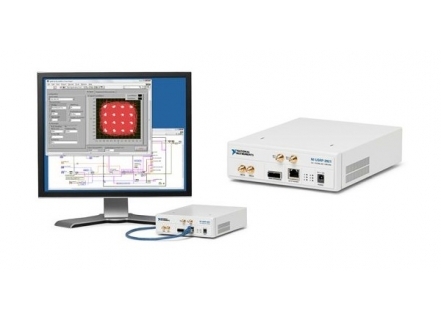 National Instruments combines the power of NI LabVIEW software and USRP™ hardware to deliver an affordable and easy-to-use software-reconfigurable RF platform that works well for communications education, experimentation, research, and rapid prototyping. With wide frequency coverage and two RF configurations, the NI USRP platform helps you experiment and prototype physical layer host-based algorithms with live signals in the same bands as 802.11a/b/g/n and ZigBee. This functionality both enhances the depth of an educational experience and allows researchers to rapidly validate their work with real-world data.